English: Request PDF. 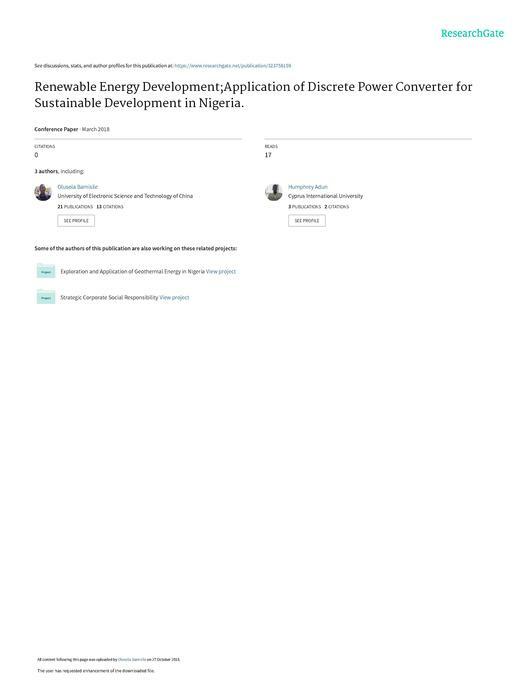 Available from: https://www.researchgate.net/publication/323758159_Renewable_Energy_DevelopmentApplication_of_Discrete_Power_Converter_for_Sustainable_Development_in_Nigeria [accessed Oct 29 2018]. 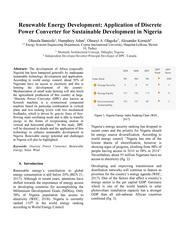 File:Renewable Energy Development;Application of Discrete Power Converter for Sustainable Development in Nigeria. This page was last modified on 30 October 2018, at 00:46.